Welcome home! 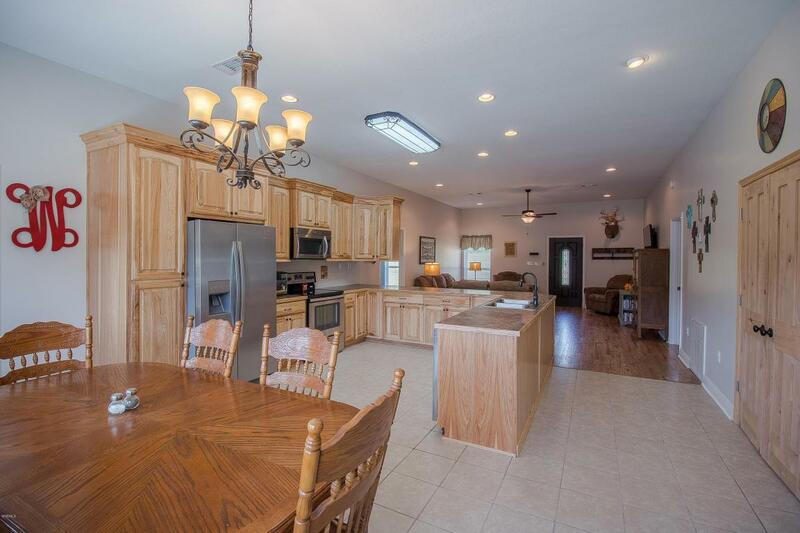 This beauty sits on 6.7 acres in a desirable location just outside Wiggins city limits! 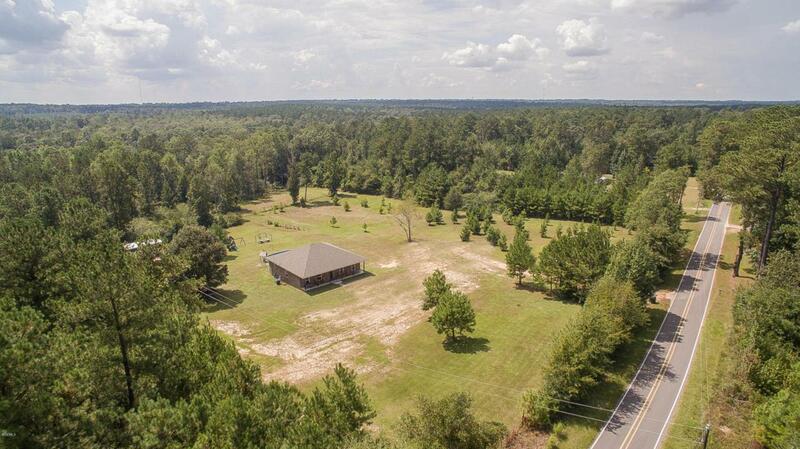 Property features a fully stocked pond, RV/boat shed (14×32), completely fenced with gated entrance, tractor barn (32×40), above ground pool, Pavilion and 2 picnic tables, electric dog fence, and a transferable termite contract! This home is only 3 years old with custom Hickory cabinets in the kitchen, stainless steel appliances, laminate wood floors & ceramic tile, open concept for easy entertaining, 10′ ceilings throughout, storage/display area in bedrooms, large master suite with a HUGE walk in closet and custom glazed cabinets, 50 gal garden tub with TV connections. For an up-close glimpse into life at 440 Big Four Rd, please review the following interview between the Seller and their Amanda & Associates Real Estate Agent, McKinsey Boss Hendry. Agent: What are the upgrades in building materials used?